The Musgrove's by 1888 had moved from Writtle back to London and were living in an end of terrace house at 48 Lorrimore Road Walworth. Albert Roy Musgrove was the fourth son of George and Emily. He was born on the second of November 1888. The 2 school register extracts below from St Pauls Walworth show entries for both George John and Herbert Musgrove.George John started on Tuesday 17th July 1888. Herbert transferred from infants on Monday 23rd Feb 1891. 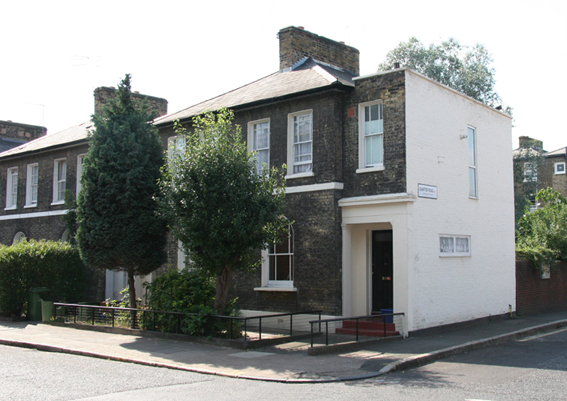 The photo (left) shows the house present day. The list of voters below shows the Musgrove's resident in 1889.